In Harry Potter and the Order of the Phoenix, Harry returns for his fifth year of study at Hogwarts and discovers that much of the wizarding community has been denied the truth about the teenager's recent encounter with the evil Lord Voldemort. Meeting secretly with a small group of students who name themselves "Dumbledore's Army", Harry teaches them how to defend themselves against the Dark Arts, preparing the courageous young wizards for the extraordinary battle that lies ahead. 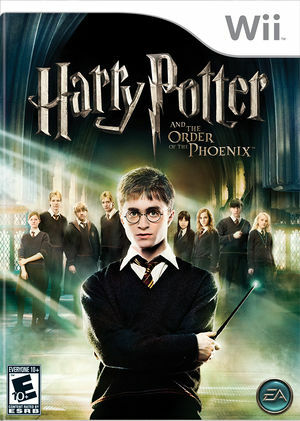 With the ability to play multiple characters, including Harry Potter, Dumbledore and Sirius Black, the videogame of Harry Potter and the Order of the Phoenix offers fans the opportunity to wield a wand, explore all around Hogwarts, and experience one of the most exciting and dangerous year in the life of the "Boy Who Lived". This title will softlock with black screens in game at different times unless Dual Core is disabled. The graph below charts the compatibility with Harry Potter and The Order of The Phoenix since Dolphin's 2.0 release, listing revisions only where a compatibility change occurred. 3.5 Windows 7 Intel Core i5-2500K @ 3.3GHz NVIDIA GeForce 550 Ti Runs fairly smoothly at ~50FPS under default settings. This page was last edited on 23 March 2019, at 23:15.